The bronze plaque narrates a brief history of the Potawatami tribe. 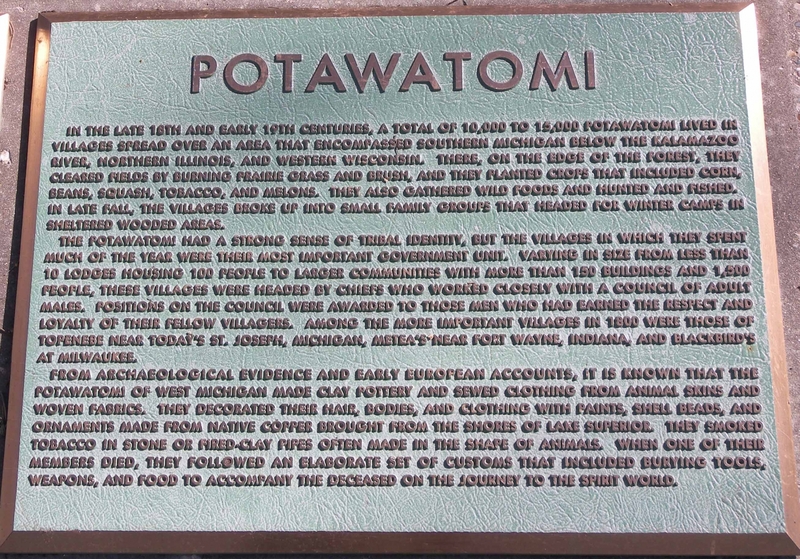 The plaque rests in the lower right corner of a larger monument honoring the Native American Community of the Grand River Valley. Title by cataloger. Each section of the marker has its separate image in the online archive. The marker stands to the left of the statue of Nishnabe Gemaw located in Ah-Nab-Awen Park.